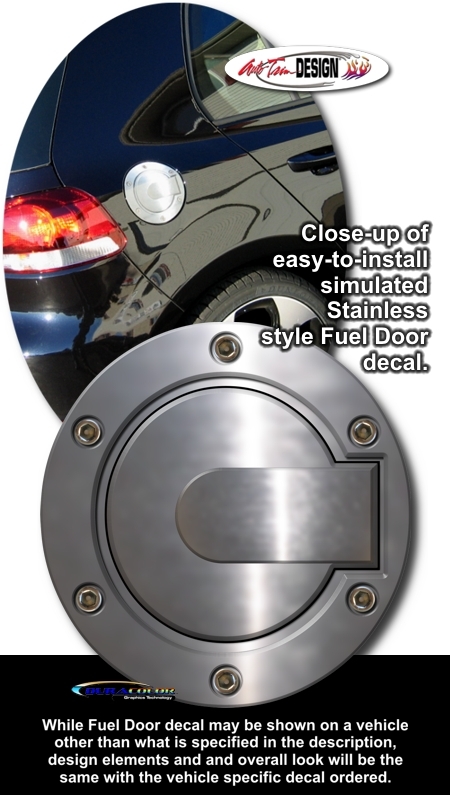 Enhance your vehicle's fuel door by adding this awesome "easy-to-install" graphic. Manufactured with a Simulated Billet composite look digitally printed onto automotive grade vinyl film, this three dimensional looking graphic looks like it's fastened on with Stainless Steel Hex Head style fasteners! This Fuel Door decal is not a generic "one size fits all" decal. It is vehicle specific and will fit the painted factory fuel door of the vehicle specified in the fitment chart below. It's very easy to install and includes easy-to-follow online instructions. Get yours today!